This post has already been read 23323 times! This week I am working for a customer to set up a VMware Workspace ONE environment. Both components from Workspace ONE, the Identity Manager and AirWatch are delivered by VMware as a SaaS offering. One of the first things, when the service is created by VMware, is to install the VMware Enterprise Systems Connector. This installer serves as the unified connector to integrate with the on-premises services such as Active Directory for Workspace ONE, AirWatch, and Identity Manager. It exists of two components, AirWath Cloud Connector (ACC) and the VMware Identity Manager Connector. How to install the connector can be found here. This error is generated because of an invalid character during the certificate creation. 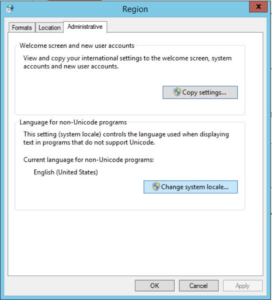 The installer assumes US locale settings on the Windows system but for this specific customer the Windows Locale settings where set to Dutch, resulting in a different way of using commas and full stops. 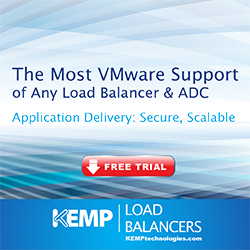 Go to the AirWatch environment and redownload the VMware Enterprise Systems Connector and install! *Please make sure that this doesn’t interfere with other applications on this server! I got the same error when trying to create VCD certificates. I am running CentOS6.9. How do you make those changes in CenOS?